WELCOME TO THE COMFORT ZONE THAT ENCOURAGES YOU TO STEP OUTSIDE YOUR OWN. 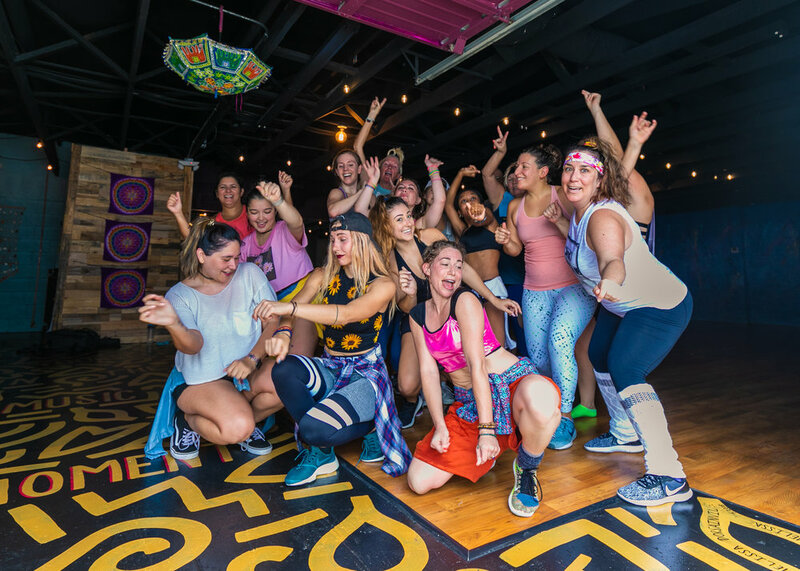 Where people come together to celebrate movement, express artistry, and feel community. This is your space to “do You.” In a supportive, uplifting environment alongside others that are “doing them” too. Our students are Family. Yes, we are still adopting. YOU'LL SHOW UP FOR YOURSELF. BECAUSE YOU'LL ENJOY WHAT YOU'RE DOING AND WHO YOU'RE DOING IT WITH. At FUNK&FLOW being active is accessible, fun & empowering - because we are all in it together. We learn & grow together. Reduce stress & clear our heads together. Improve strength, flexibility, & mobility together. Up our dance repertoire and move free together. Keep our hearts pumping together. Gain confidence together. Elevate our vibrations and Feel Good, Together. we believe in the good things coming. coming. coming. No JUNK Mail - Only FUNK Mail. Yoga classes are taught in natural Florida temperature. Dance classes are air-conditioned. However, warm energy is a staple. YOU DON'T HAVE TO BE 'GOOD' TO START. We care more about FEELING good and less about BEING good. Our intention is to have you feeling ‘like home’ in our space and ‘at home’ in your body. Allow us to introduce ourselves. Snag your first 3 weeks of unlimited yoga & dance classes for $60! Ready to take your moves to the next level? 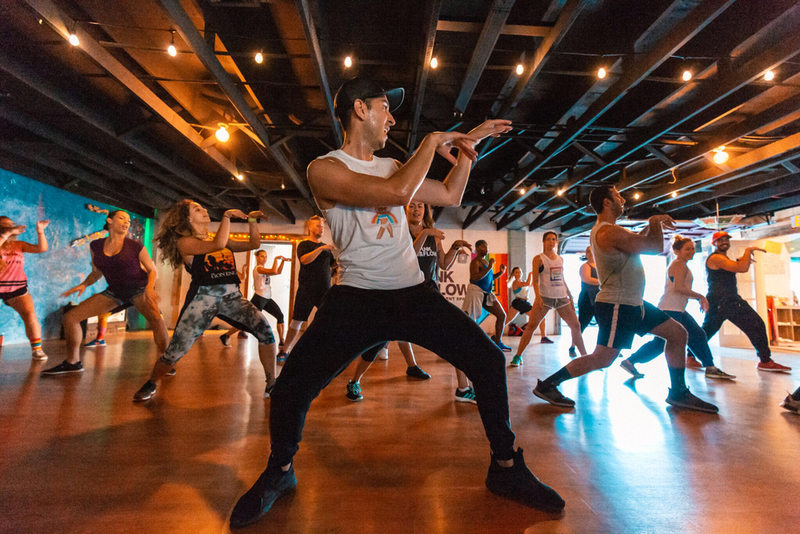 Snag unlimited yoga & dance classes and we’ll support your sweat along the way! SO, WHERE IN THE WORLD IS CARMEN SAN DIEGO? Well, we think she's out looking for some adult dance classes taught at an accessible level by dancers .....not fitness instructors. From what we've gathered...she's searched near and far. Visiting gyms, shying away from high-strung studios where the focus is to dance professionally. Word on the street is she’s looking for a place where she can shake what her mama gave her. If you see her, let her know we've got her covered at FUNK&FLOW. Newbies and long-time movers alike, we await your free-spirits and funky feet, whether they’re two-lefted or just finished the two-step, mambo, charleston, or beyonce. Funk&Flow was crafted with Love so that you’d feel your best inside our walls. Our space is available to rent for rehearsals, gatherings, workshops, castings, and events. We’re no stranger to live music and community collaborations. Tell us what you're interested in, and we'll support your vision.